And features a range of chassis enhancements. For a while, the Toyota 86’s future fate was looking uncertain. Thankfully, we recently learned from Toyota that the 86 will live on for the foreseeable future. 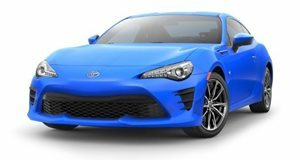 "The 86 has been in the Toyota family since 2013 and the plan is that it will continue to be a part of Toyota’s sports car lineup,” a spokesperson told us. A next-generation version is also in the pipeline, but rumors suggest it won’t arrive before 2021. In the meantime, we can expect Toyota to churn out some special edition models to keep its most affordable sports car fresh. Over in Japan, Toyota is currently offering a new special edition 86 with a stunning new paint finish. As the name suggests, the new Toyota 86 British Green Limited is finished in a striking green hue that harks back to the classic British Green color used on sports cars in the past. It also appears to only be available in the Land of the Rising Sun since the special edition model can only be found on the automaker’s Japanese website. Inside, the interior features new two-tone sports seats wrapped in Alcantara leather and contrasting orange stitching for the black steering wheel and gear shifter gaiter, but the center console lacks a display for the infotainment system. While the limited-edition Toyota 86 doesn’t have any powertrain upgrades, it does come with a handful of improvements to the driving experience. The car now rides on lightweight and high-rigidity cast aluminum wheels housing a Brembo brake system with large discs on all four corners. On the front axle, the calipers use four pistons, while the rear axle features two-piston calipers. Toyota is already accepting orders for the 86 British Green Limited with prices starting at 3.318 million yen (around $30,035), but it will only be available until May 31 this year.